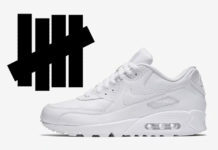 Over the weekend Nike Basketball launched the Nike Kobe 1 Protro which included a couple collaborations with Undefeated. 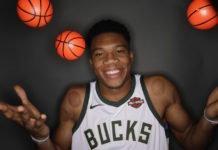 While Giannis Antetokounmpo recently signed with Nike, he was spotted in an unreleased pair. 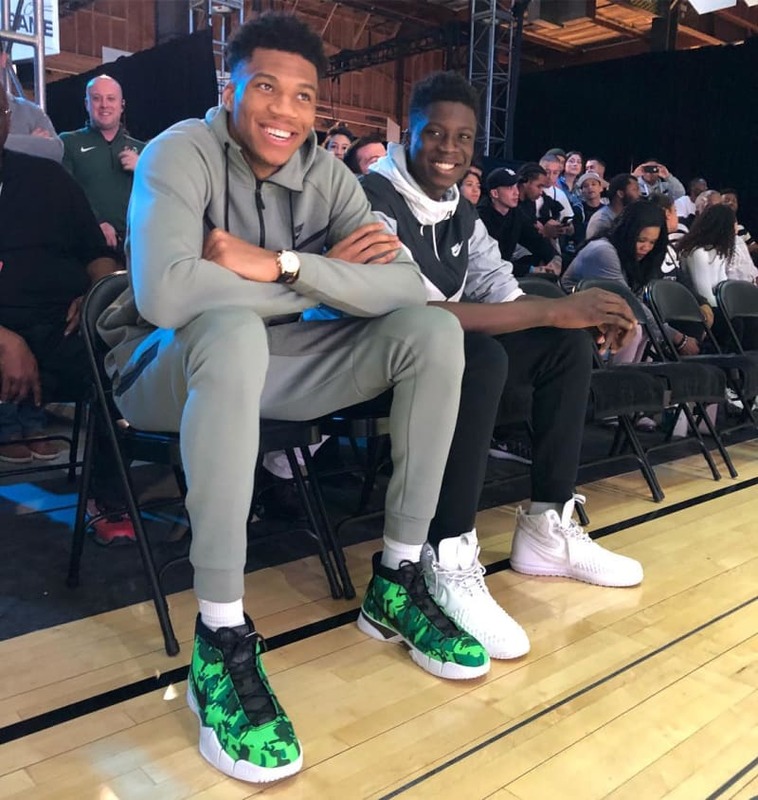 During the NBA All-Star Weekend, The Greek Freak was spotted at Nike’s Makers of the Game event in this exclusive Undefeated x Nike Kobe 1 Protro colorway. 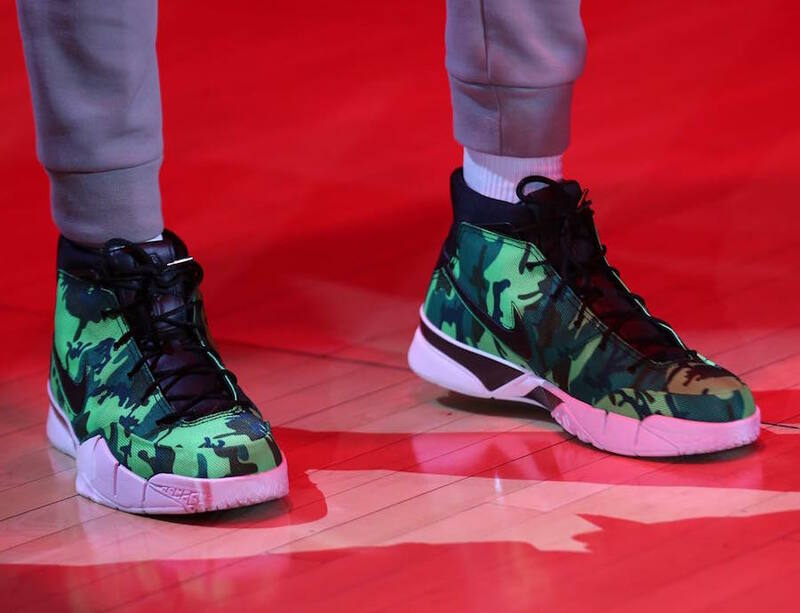 Looking closer you can see that they feature a Bright Green camouflage designed throughout while Black and White accents are used for the Undefeated branding. 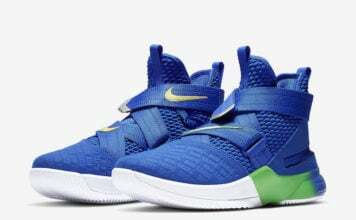 This pair makes the fourth we have seen from the collection. 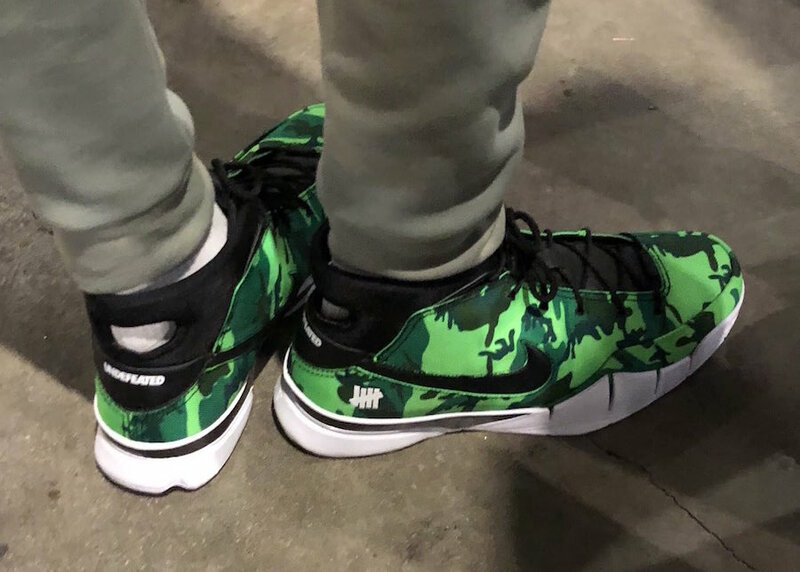 At the time of writing it doesn’t appear that this colorway of the Undefeated x Nike Zoom Kobe 1 Protro will release but stay a friends and family edition. If we receive more information we will make sure to update you. For now see below for another photo.